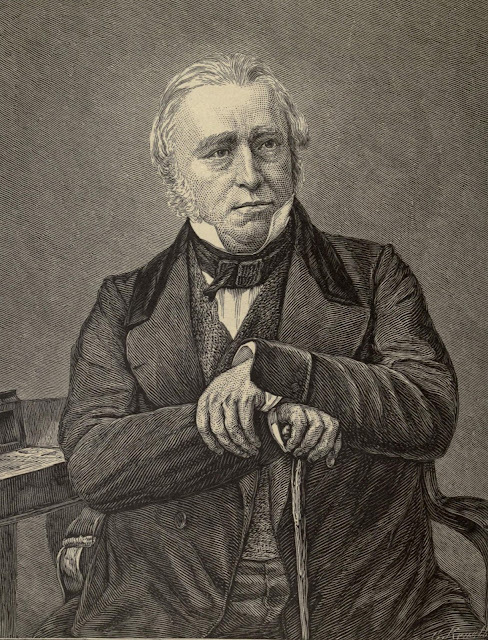 Thomas Babington Macaulay, 1st Baron Macaulay, has been a much-reviled man in India for his famous “Minute on Education” speech in the British Parliament, which induced the then-Governor General of India, Lord William Bentinck, to stop state funding of Sanskrit and Persian, which were the official languages of India, and replace them with English. This article explains why Macaulay’s sweeping reform in 1835 has been a great blessing for India and the Indian people, especially in today’s age of globalization where English is king, and makes the case as to why Lord Macaulay’s seminal contributions to India might even deserve India’s highest honor, the Bharat Ratna, if that honor can be conferred on a person who died so long before Indian independence. Today, October 25, is a very special day. It is the birth anniversary of an extraordinary gentleman who was born 218 years ago this day, and whose policies as an administrator in India had a tremendous positive impact on India 160 years after he instituted them, and still have a profound salutary effect on the economy, employment, and prosperity of Indians today: THOMAS BABINGTON MACAULAY. A few words about this remarkable man may be in order on a day like today. Macaulay was a child prodigy, and was awarded the Chancellor’s Gold Medal while a student at Cambridge. Apart from mastering most of the classics in Latin and Greek, Macaulay taught himself German, Dutch, Spanish, and French. Macaulay was considered a great scholar, essayist, and poet. In 1842, he published his “Lays of Ancient Rome,” a set of poems about heroic episodes in Roman history. But probably his most famous literary work was his series of five tomes on the “History of England from the Accession of James the Second,” which is considered a literary masterpiece, and which he started in the 1840s, and the last volume of which was published after his death in 1859. But Macaulay’s most important contributions came when he served on the Supreme Council of India between 1834 and 1838. In 1835, Macaulay presented to the English Parliament his famous “Minute on Education,” his proposals on the reform of the educational system in India. Macaulay strongly argued for changing the medium of education in India from Sanskrit and Persian to English. He urged the then-Governor General of India, Lord William Bentinck (the man who had been responsible for abolishing the savage practice of Sati, or the burning of widows on their husbands’ funeral pyres, and for ending the thuggee menace), to reform Indian education so as to impart “useful learning” - by which he meant western education, with its emphasis on scientific thought and reason. I have no knowledge of either Sanscrit or Arabic. But I have done what I could to form a correct estimate of their value. I have read translations of the most celebrated Arabic and Sanscrit works. I have conversed both here and at home with men distinguished by their proficiency in the Eastern tongues. I am quite ready to take the Oriental learning at the valuation of the Orientalists themselves. I have never found one among them who could deny that a single shelf of a good European library was worth the whole native literature of India and Arabia. Macaulay went on to disparage the poetry and literature of India, both those derived from Sanskrit as well as those derived from Arabic and Persian, and then proceeded to opine that the historical knowledge in these languages could not hold a candle to western scholarship in history. Macaulay’s views were accepted by Lord Bentinck, and in response Bentinck passed the English Education Act of 1835. Macaulay’s final achievement in India was the creation of the Indian Penal Code, which is still followed in India, and has been the basis of the penal code systems in several countries, including Pakistan, Bangladesh, Sri Lanka, Singapore, Nigeria, and Zimbabwe. However, a lot of what Macaulay said about India and its educational system in 1835 was substantially correct, even if he did put it in a rather blunt way. An educated person in India knew nothing about the tremendous advances in science that had been made in the west and that were responsible for the industrial revolution that helped England become a global superpower and helped Europe in general reach much higher levels of prosperity than countries elsewhere in the world. While Macaulay was obviously ignorant of the greatness of Indian literature and poetry (as a person who did not know Sanskrit he could never have known the beauty of Kalidasa’s poetry, for instance), his recommendation has been extremely valuable to India from a utilitarian perspective. Today, a city like Bangalore is full of foreign companies with their design, R&D, and software backend offices. This trend has been copied across India with other cities like Pune, Hyderabad, Gurgaon, etc. All this has only been possible because educated Indians can speak reasonably good English. Knowledge of English is recognized by all Indians as the ticket to a better life. Today, it isn’t just the educated Indian: the flower seller, the maid who does dishes in the home, and the sweeper also try to educate their children in English. Even politicians who publicly urge people to study in their Indian mother tongues, such as the Thackerays or Fadnavises of Maharashtra, or the Yadavs of Uttar Pradesh, make sure that their own children get nothing but the best English-medium education. Studying in Hindi or Marathi is a recommendation they will make for others to follow; not for their own family members to follow. One look at our giant neighbor to the east, China, will tell us what a boon English has been to India. China is a superpower and a technological powerhouse. It is technologically so advanced that in a matter of a decade it might well surpass the USA in technical excellence. Yet, it is India that is an IT powerhouse. Why is that? Because India has oodles of English-speaking software engineers who can easily converse with their American and European clients and solve problems for them. This is the reason why US companies like establishing R&D centers in India – you get qualified talent with whom you can communicate easily. And all this is a consequence of that historic and momentous decision in 1835 to make English the medium of education in India. China is well aware of this shortcoming and is working hard to bridge this gap. In 2006, the number of Chinese students learning English as a second language (ESL) was about 2.5 million. By 2013, that number had grown to 300 million. The value of ESL training in China was estimated to be $4.5 billion in 2016, and this was expected to grow at a rate of 12-15% in the coming years. A journal publication in English Today, in 2012, by Wei and Su, put the number of Chinese who had learned English at 390 million. One of the big disadvantages China faces relative to India is that it was never a western colony, and so there are not many opportunities for Chinese learners of English to use the English they learn in these training courses. Storefront signs and street signs are mostly in Chinese in China, unlike India where road names and store names are frequently printed in both English and the local state language. Macaulay’s decision has led to greater prosperity for millions of Indians today. His reasons for his decision are not important today. We may not agree with his assessment of India and its culture; but his decision has helped millions of Indians live a better life. Macaulay’s decision has also helped the percolation of science down to those with no knowledge of English. As he put in his “Minute,” “To that class we may leave it to refine the vernacular dialects of the country, to enrich those dialects with terms of science borrowed from the Western nomenclature, and to render them by degrees fit vehicles for conveying knowledge to the great mass of the population.” Terms of science from English have now penetrated every Indian language, and have, in turn, made those languages more scientific, relatively speaking, and more conscious of technology than they were prior to their contact with English. It is important to understand why English is so important to the scientific and technological development of a country today. Modern technology, by and large, is a western accomplishment, and so most of the ideas of technology and progress are in western languages – German, French, Russian – but overwhelmingly, in English. One survey found that of the total number of scholarly journals, nearly half (45.24%) were in English, followed by German with 11.01%, Mandarin with 6.51%, Spanish with 5.66%, French with 4.94%, Japanese with 3.46%, Italian with 2.99%, Polish and Portuguese with 1.7%, Dutch with 1.48%, and Russian with 1.3%. Another source (an article in Research Trends) says that 80% of the journals indexed in the indexing service, Scopus, are written in English. As the Research Trends article shows, even in a country with a storied tradition of science and scientific publishing in the local language like Germany, the current ratio of scientific articles published in English to articles published in German is something like 10:1. In the Netherlands, it exceeds 40:1, and in Italy the ratio of English to Italian in scientific articles is 30:1. Even when researchers publish a paper in French or German, the authors have to provide an abstract in English as well so that researchers around the world can understand it. The situation in east Asia is no less dramatic. China currently has more speakers of English as a second language than any other country. Some prominent English teachers have become celebrities, conducting mass lessons in stadiums seating thousands. In South Korea, meanwhile, according to the socio-linguist Joseph Sung-Yul Park, English is a “national religion.” Korean employers expect proficiency in English, even in positions where it offers no obvious advantage. In India, English also performs the invaluable task of uniting the nation. Attempts have been made, and are still being made, to impose a north Indian language, Hindi, on the whole country, but they have been vigorously resisted by many, especially those in the state of Tamil Nadu, as an imposition of the language on those who have no desire to learn it. If you visited Tamil Nadu and knew only Hindi, you would have a rough time indeed, because the people there might speak English (albeit broken English), but many of them will not speak Hindi even if they know what you mean. Residents of other parts of India, such as West Bengal, also find Hindi imposition to be very offensive. Although attitudes towards Hindi might vary across India, the general public all over India is very eager to learn English. Everyone in India views English as the ticket to a more prosperous life. You cannot get a job in a call centre helping overseas clients unless you know English. Ironically, in a country where politicians are trying to impose the language of the Hindi belt on the rest of the country, the common people of the Hindi belt are busy learning English. A report by the British Council in 2012 mentioned from data sources that the size of the ELT (English Language Training) market in India was $2.76 billion in 2012, and was expected to grow to $4.7 billion in 2015. Notably, the report mentioned that English education among the K-12 segment (primary and secondary schooling) sector was growing at a CAGR of 31%. The most backward communities in India, the Dalits (formerly called the untouchables or the backward or depressed castes), also view English as a ticket out of the oppression they have suffered for millenia. They view English as the tool that will empower them out of backwardness and ignorance, especially as their idol, the great Dalit intellectual who wrote the Indian Constitution, Dr. Babasaheb Ambedkar, had mastered the language and studied for doctoral degrees in the USA and the UK. 182 years ago, Thomas Babington Macaulay took the decisive step of introducing English education to Indians and stop state funding of Sanskrit and Persian education to Indians. The consequences of that one sweeping move have been tremendous. While Indian languages might have suffered a loss of patronage and seen a decline in literary activity relative to what existed in the past, the introduction of English brought with it exposure to modern scientific ideas and became the bedrock of a modern nation-state when India finally became independent in 1947. In today's age of globalization, English has proved to be a powerful asset for a country like India, giving employment to millions of Indians. The IT sector alone today contributes 7.7% of India’s GDP, and it is fair to say that this would have been impossible without the widespread adoption of English in India. One can only hope that one day, “With English,” Indians can iron out our differences of religion, caste, and language, and become one nation. And if that fortunate day ever dawns, our debt to Macaulay will be immeasurably greater than it already is. Macaulay’s decisive step in 1835 has resulted in unimaginable positive benefits for India as a whole. And so, if at all it were possible to honour someone so far back in time, it might be a good idea to award the Bharat Ratna, India’s highest civilian award, posthumously to Shri Lord Thomas Babington Macaulay. A poem on the current state of things in India, inspired by the Reverend Martin Niemoller's famous poem, “First they came …” composed in Nazi Germany. Because you believe India has “bent backwards” to accommodate Muslims. And you do not like conversions. As they go out to parks and beaches and pubs. cooking, cleaning, making babies and rearing children. Were destroying the cultural fabric of Hinduism. When a larger movement is afoot. And you feel sad about that — but what to do? After all, these are only rabble-rousing rationalists. That wants you to open your temples to Dalits and women! And you are a good Hindu. of that has been presented. As long as you are not affected. Of the late former PM Vajpayee. And who are these people who dare to insult him? 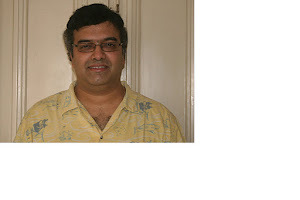 Sanjay Kumar is not a jeans-wearing, temple-entry demanding woman. And he nearly got killed — and may still die in the ICU. And now a Hindu man who is none of the above. How long will it be before they come for you? Or something your daughter did. What if your daughter wore the “wrong” kind of dress? With a person of the “wrong” caste? Or, worse, the “wrong” religion? What if she listened to the “wrong” kind of music? What if he read the “wrong” kind of book? What if she had the “wrong” kinds of friends? For violating the sanctity of their religion. When there is still freedom of speech. I am sorry, but there is nothing we can do for you. And a violent chorus from the bottom. Only to lament their decisions. This is a quick primer for anyone who wants to understand the Hindu god Rama. The Ramayana is the story of Rama, a prince of the mythological kingdom of Ayodhya in North India (after which a town is still named today). It is said to have been written by the poet Valmiki. Rama is the eldest of the four main royal sons of the King of Ayodhya, Dasaratha, through his three chief queens, Kaushalya, Kaikeyi, and Sumitra. Rama, along with his three brothers, Lakshmana, Bharata, and Shatrughna gets trained in arms and statecraft, as royal princes do. At a young age, he gets advanced arms training under the king-turned-sage Vishwamitra, and during this apprenticeship kills the dreaded demon, Tataka. Rama marries Sita, the daughter of the king Janaka of Mithila, by winning her in a contest set up by her father, whereby only those strong enough to lift and string a heavy, divine bow would be qualified to marry his daughter. Rama is the only one among the assembled princes who succeeds in stringing and even breaking the bow by his strength, and brings Sita home to Ayodhya. Rama is anointed the crown prince by his father Dasaratha. But his step-mother Kaikeyi wants her own son Bharata to be king. So she calls an old debt in, whereby the king had promised her that he would grant any two wishes she ever wanted any time in the future. So Kaikeyi asks that Bharata become king, and that Rama be exiled to 14 years in the forest. The king is heartbroken but has to honour his word. He orders Rama to be exiled. Rama has to obey the order or rebel, and he chooses to obey. The king dies in grief soon after. Rama’s loyal brother Lakshmana, and his wife Sita join him in wandering from forest to forest. Towards the end of their stay in the Dandaka forest, they meet the asura (demon) princess, Shoorpanakha, who falls in lust with Rama. Rama refuses her attentions as he is married. Shoorpanakha realizes that Sita is the reason Rama refuses her, and tries to attack her, upon which Lakshmana cuts off her nose as humiliation. Shoorpanakha complains to her brothers, the asuras Khara and Dooshana, who attack Rama and Lakshmana in revenge and are killed. A humiliated Shoorpanakha goes to her brother Ravana, the mighty king of Lanka, asking him to avenge her humiliation. She tells him about Sita’s beauty to motivate him. Ravana’s initial reaction is to confront Rama directly, but Shoorpanakha convinces him that a better way would be to abduct Sita and let Rama die in grief. Ravana agrees and recruits the services of his uncle Mareecha, who changes his form to that of a golden deer and prances about near Rama’s forest residence. The beautiful deer catches the eye of Sita, who asks Rama to kill the deer for her so that she can sit on the dead deer's beautiful skin. The deer leads Rama on a long chase. Mareecha, being a demon, can run much faster than normal deer, and leads Rama far away from his hermitage. During this time, Ravana is waiting for a chance to abduct Sita, but Lakshmana has been left to guard Sita. When Rama catches up with Mareecha and finally kills him, the deer changes its form back to that of the asura. In his dying breath, Mareecha screams in Rama’s voice, “O Lakshmana, O Sita” - in a voice loud enough to be heard by Sita and Lakshmana. Sita is worried and asks Lakshmana to go to Rama’s aid. Lakshmana tells Sita that he does not believe this was Rama’s cry, as there is no one in the world capable of injuring Rama. Upon this, Sita accuses Lakshmana of lusting for her, and tells him she will never become his wife even if Rama dies. Unable to bear Sita’s accusations, Lakshmana goes to help Rama. Ravana takes advantage of Rama and Lakshmana’s absence, and abducts Sita and takes her to Lanka. On the way, he is confronted by the vulture king Jataayu, whom he mortally wounds in battle. Rama and Lakshmana return to the hermitage and find Sita missing. After much searching, they find the dying Jataayu and learn that Ravana had kidnapped Sita. But they do not know where Ravana is. After an encounter with the demon Kabandha, they learn that the person who could help them reach Ravana is the tribal prince Sugreeva (the tribals are also referred to in the story as “vaanaras,” or monkeys – which doesn’t make sense, because monkeys cannot talk; and so I have interpreted “vaanar” as tribal) who lives in the Rishyamukha forest with his faithful friend Hanuman. When they meet Sugreeva, he tells them of his story. He and his elder brother Vaali were very close, until a misunderstanding caused Vaali to suspect that Sugreeva was trying to steal his kingdom of Kishkindha from him. So he exiled Sugreeva and even made Sugreeva’s wife his own. Sugreeva makes a deal with Rama: if Rama will kill Vaali and make Sugreeva king of Kishkindha, he will help Rama find Sita with all his tribal warriors. Rama accepts. Rama realizes that Vaali is a formidable enemy whom he simply cannot defeat in face-to-face combat. So he asks Sugreeva to challenge Vaali to a face-to-face fight, and when they are fighting, Rama, hidden among the trees, shoots an arrow that kills Vaali. Sugreeva, true to his word, mobilizes his tribal army and they march towards Lanka. They reach the southern shore (i.e., modern Rameshwaram) and then build a bridge over the sea to Lanka. Before they march towards Lanka, Hanuman jumps over the sea to Lanka and asks Ravana to hand over Sita to Rama. Ravana refuses, and orders Hanuman’s tail (recall that Hanuman was a vaanar/monkey) to be set on fire. With his fiery tail, Hanuman sets all of Lanka ablaze before returning to Rameswaram. Rama’s objective of defeating Ravana becomes a lot easier when Ravana’s younger brother Vibheeshana sees an opportunity for himself in dethroning his powerful brother. He switches allegiances to Rama’s side and helps Rama win against Ravana by revealing all of Ravana’s secrets and those of his strong son, Meghnad (also known as Indrajit because he once defeated the king of the Gods, Indra, in combat). Without knowing these secrets, Rama would have been unable to kill Ravana. In return, Rama crowns him as king of Lanka after killing Ravana. After killing Ravana and all of his warriors, Rama liberates Sita from her imprisonment. He tells Sita coldly that he did not engage in this great war out of love for her but because her abduction was a personal dishonour to him which he needed to avenge. He also tells her that he cannot accept her as a wife because she had spent all this time in Ravana’s kingdom, so her fidelity is suspect; and that now that he has liberated her, she is free to go anywhere she chooses. Unable to bear these words, Sita prepares a fire and jumps into it. But the god of the fire, Agni, brings her out of the fire unscathed and hands her to Rama, vouching for her fidelity, and Rama accepts her as his wife again. Rama is shocked that the people of his kingdom have a low opinion of him, and to set matters right, he immediately orders his brother Lakshmana to take his pregnant wife Sita the next morning to the forest, without even having a discussion with her on the matter. Sita learns of her banishment from Ayodhya only after Lakshmana leaves her in the forest with nowhere to go. Weak and pregnant, Sita faints in the forest after her abandonment by Lakshmana and Rama. By a stroke of luck, Sita is found by attendants of the sage Valmiki who take her to his hermitage, where she recovers and later gives birth to her twin sons Lava and Kusha. The two sons grow up to become fine warriors, educated by Valmiki. During their teenage years, Rama decides to conduct a sacrifice called the Ashwamedha sacrifice (a horse sacrifice) which signifies overlordship of the known world. Wherever the royal horse wanders is considered part of Rama’s kingdom. Anyone obstructing the path of the horse or capturing it would have to face the might of Rama’s army. When the horse comes through the jungle, the two boys capture it. The army of Ayodhya comes after them but is no match for them. Finally Rama himself comes to fight the twins, and is then told that the twins are his children. Rama is delighted to know this, and accepts the twins as his children, but is unwilling to accept Sita as his wife. A mentally-exhausted Sita commits suicide. Sometime later, Rama receives complaints that a Shudra (the lowest among the four castes of Hinduism) is performing prayer and penance in the forest. This being disallowed in Hindu scripture, he is told many bad things are happening in the kingdom. Rama sets out in search of the Shudra, Shambuka, who is performing penance and worship to the Gods as an ascetic. Once Rama confirms his identity, he immediately executes him without even as much as a warning. The Gods and the brahmin sages shower flowers and and sing songs in praise of Rama for upholding the social order. Finally, after a long reign upholding the social order of the day, for which he is known as “maryada-purushottam,” or “one who follows social rules to the letter, better than anyone else” Rama and his brothers die, and the kingdom passes on to Lava and Kusha. This is the end of the Ramayana. For his various deeds, Rama is revered in Hinduism as the “ideal man.” He is one of the principal deities of Hinduism, and many temples have been constructed in honour of him.